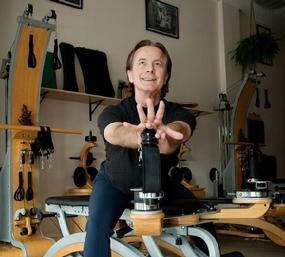 The GYROTONIC EXPANSION SYSTEM® encourages the movement of ones body to move like nature intended. Utilising wooden handmade apparatus, the equipment was designed around the human body, to help naturally open the body through the spines natural spinal motions: ARCH, CURL, TWIST, SPIRAL, BEND, WAVE & CIRCLE.The uniqueness of the system is that it stretches and strengthens at the same time with minimal effort, while it increases the range of motion and DEVELOPS COORDINATION. The exercises are performed through spherical awareness and circularity of movement, enabling the user to perform under permanent guidance and variable controlled resistance. Real sports simulations are created with no limitation to speed and range of motion.